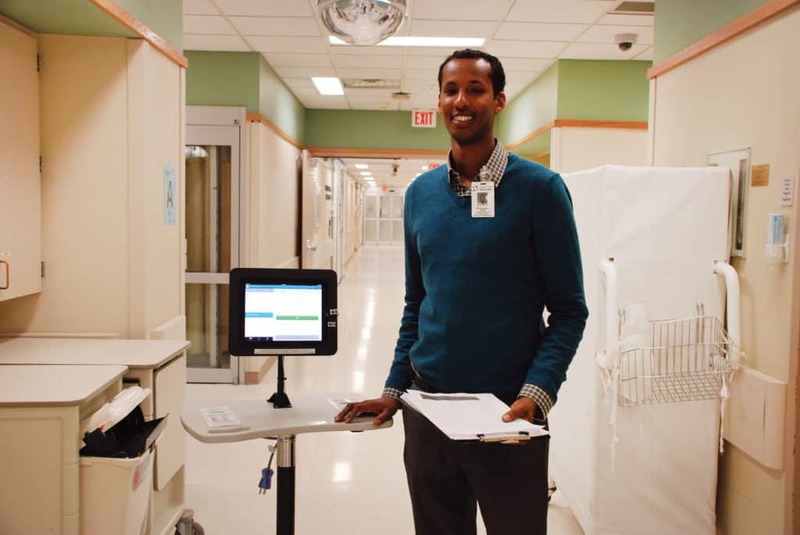 Our interpreters are part of one of the largest hospital interpreter programs in the country. They provide professional, culturally competent language interpretation to establish clear communication between the provider and the patient. Over 120,000 interpreters are available to limited English-speaking, deaf and hard of hearing patients at all Hennepin Healthcare clinics, ED, inpatient units and services areas. The department staff interprets 21 languages, and contract staff extends that to over 50 languages. Video interpreting is an on-demand, all-language remote interpreting system that meets the unique language needs of our non-English speaking patients. This technology provides additional support to in-person and telephone interpreting.